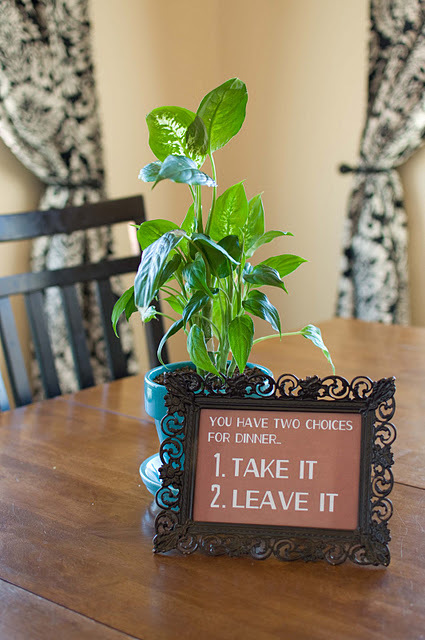 I saw this saying this week and knew it had to grace our dinner table! I don’t know if its this sign or its just been a fluke that I’m cooking meals my boys like (maybe its even in my head) but there has been a lot less complaining the last few days! Grab one for your table! Since we have been talking about menus, eating healthy, and family dinner time this week I decided to post today about how I menu plan. People always say its too hard but I think its much harder to open the fridge at 4:00 and wonder what to cook for dinner! I find that we eat out a lot and eat much less healthy when I don’t take the time to plan out our meals for the week. I usually plan 5 meals for each week. Every Friday night we do homemade pizza with our movie night and usually we have something else come up during the week or we do leftovers for one meal. I also do not lock myself into days for meals. I plan 5 meals but they are not for specific nights of the week. That allows me to be more flexible as the week progresses. Here are the general guidelines I use. I usually pick 2-3 chicken meals, 1-2 beef meals, and 1 vegetarian meal. I usually have 1 crock pot meal a week because there is always one night a week where I’m not going to have time to cook dinner and I need something that I can prepare in the morning. 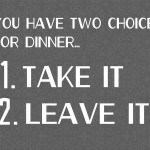 I try to choose at least 2 fast meals, 2 more time consuming meals, and 1 that’s in the middle. Following that rough guideline its usually not too hard. 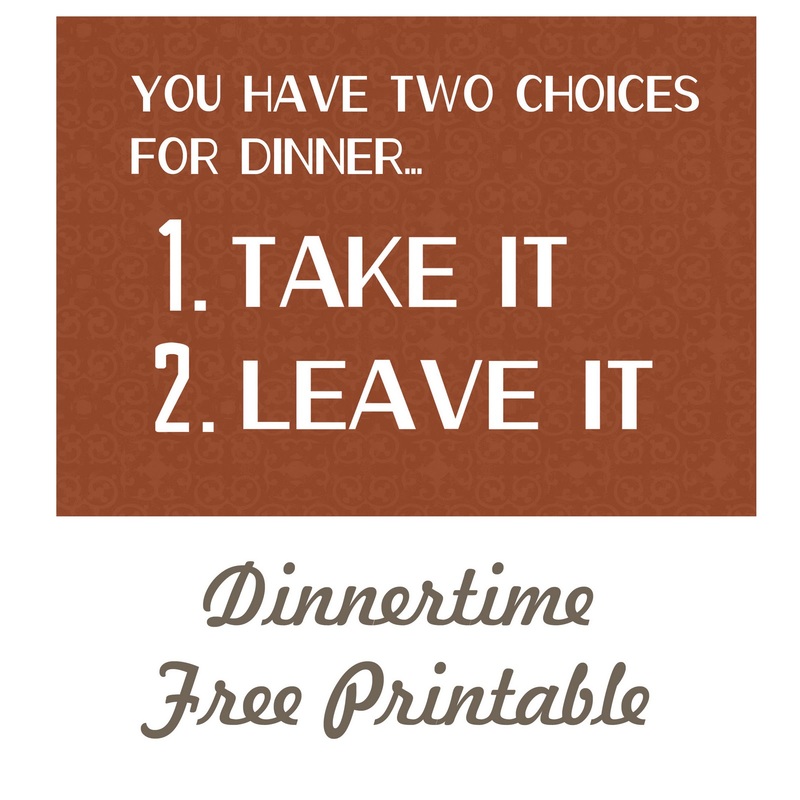 First I pick my crock pot meal. Then I check if there are ingredients that need to be used in the fridge. Then I ask my boys if there are any requests and add those. Lastly I see what the balance of the meats are and pick recipes to fill in. 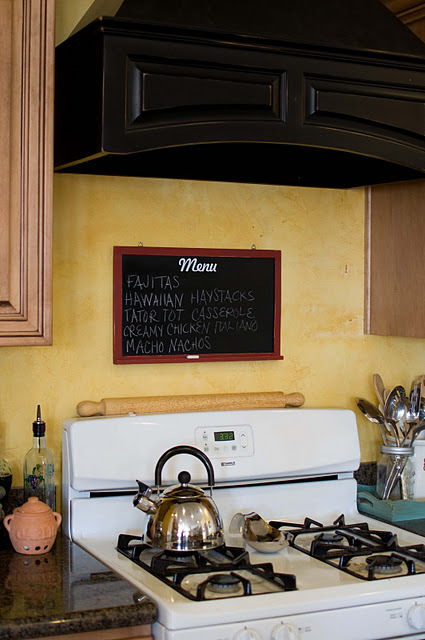 I post my recipes on our chalkboard where they are easy to see. >Cute Printable! Thanks for sharing… and I agree that if you plan your menu for the week things go so much smoother, I spend less money, and eat healthier.